Even for heavy lifters and gym enthusiasts, shovelling snow can be a pain. Heading outdoors into an uncontrolled environment can be difficult to manage, so it is always nice to have a little bit of help. Whether you are tight on time or unwilling to spend your days outside shovelling, pick up the phone and call a Gorilla. Our Fort McMurray snow removal and salting can handle the cold and can handle the snow while you are safe indoors. Having a snow around your property is more than a minor inconvenience. Not many people are willing to wade through a foot of snow unnecessarily. This means that business owners can lose foot traffic on commercial properties. Storefronts are not the only areas to suffer from heavy snowfalls, as residential properties are subject to by-laws as well. Some communities are required to keep their walkways cleared away of snow or face fines instead. 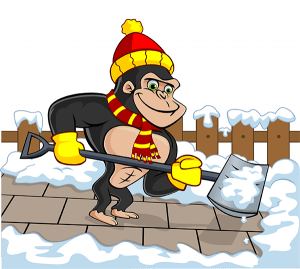 Save yourself the muscle ache as well as the cost of unnecessary fines, all by calling a Gorilla for your Fort McMurray snow removal and salting service. Clearing away snowfall is only half the battle of keeping your property winter ready. Salting is a vital part of maintaining a safe environment for your residential or commercial property. Temperatures in the Fort McMurray area can be erratic and hard to keep up with. A bit of sunshine throughout the day might melt a layer of snow here or there but as temperatures drop overnight, you are dealing with ice. Having ice around your home or business can invite slips and falls that you just don’t need on your hands. Our Gorillas are experienced in pinpointing problem areas for ice formations and can treat them accordingly. 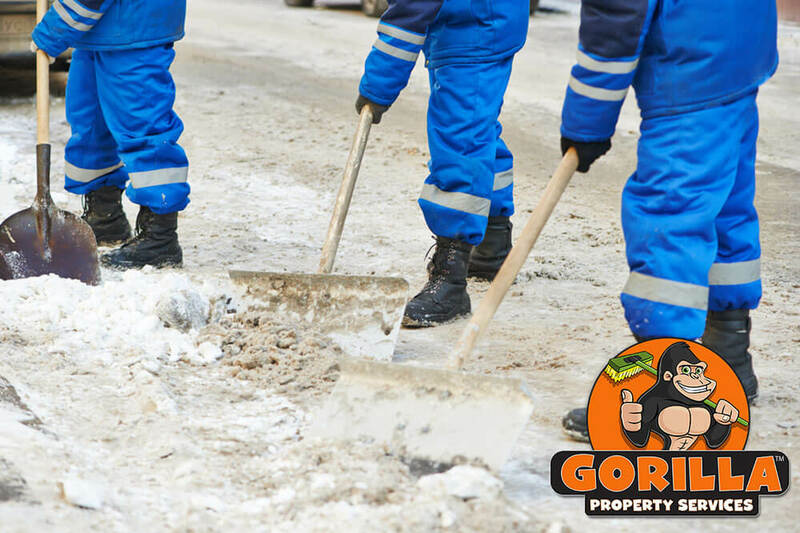 Whether you have a single-dwelling home or a large commercial property, our Gorillas have the right tools for the job. Our snow removal services utilize shovels, snowblowers or even ploughs to push, drag or launch snow off of your property.